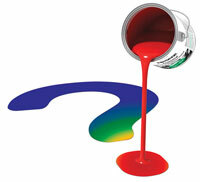 Ask a Colour Expert - send a colour question to Resene colour experts! Where possible include photos of your project with your query as they will help our experts provide the best advice for you. To arrange a colour consultation, please click here. To ask our technical experts for advice, click here. To view a selection of colour expert questions and answers, click here. If you are having trouble uploading images, please email to colexpert@resene.co.nz with the subject header "Ask a Colour Expert" and we can match it up with your query.